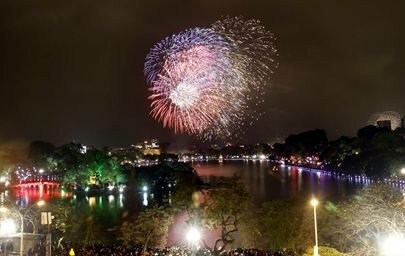 The first visitor of the New Year is very important to Vietnamese because they he or she is believed to decide the luck of the host for the entire year. Traditionally, the visitor is a member of the family or a good friend. The first half of the first lunar month is the best time for a pilgrimage. Joining the flow of devotees in spring's wonderful atmosphere you may feel the harmony of the sky and the earth.